Last Thursday at the Vice Presidential Debate, Joe Biden came out swinging, fact checking Paul Ryan on the spot, not letting him go unchecked with the same lines of lies and misrepresentation that was evidenced during the last Presidential debate by his boss, Mitt Romney. The performance of Vice President Joe Biden was aggressive, rightly dismissive and very persistent that he looked and spoke like he had this fierce urgency of putting the Romney/Ryan campaign into shreds and I must say he certainly has out performed above and beyond what critics thought would be soft exchange. Joe Biden clearly won the debate simply because he was sincere, had passion and conviction, he knew and lived most of what he was talking about and more than anything he was not artificial and aloof like his debating "friend" from the other side was. The contrast couldn't be any clearer on issue after issue as Joe Biden showed the difference between the look back and stay in the ditch plan of Romney/Ryan and the moving forward plan of the President. Biden didn't waste one minute going after Romney's record from the get go. He started with dismantling the bogus assertion that Romney cares about 100% of America as he hammered Romney's denigration that American people would never “take personal responsibility” exposing the behind close door billionaire and millionaire private meeting where Romney said, he doesn't worry about the 47% Americans" showing that the Romney/Ryan ticket is disconnected and don't understand the middle class. On Medicare, Biden clearly made Paul Ryan drink, drink and drink more water as he hammered the fact that the Romney plan is a plan to privatized medicare pointing out Ryan himself has called it a voucher program that will put seniors in the hole as per the analysis from the nonpartisan Congressional Budget Office that found the out-of-pocket costs to seniors would be $6,350 more than the traditional medicare as the Romney/Ryan plan favor premium support that will turn Medicare from a defined benefit into a defined contribution program. Of course, Ryan tried to put fear in the minds of seniors claiming under the President's plan, $716 billion is cut from medicare benefit --a claim that fact-checking watchdogs and others have called misleading. However, Vice President Biden was right there to debunk the lies in a very forceful manner talking to the camera asking seniors how their medicare plan has worked for them or if they have been denied any benefits and to judge for themselves while indirectly telling the American people the guy next to him is lying to them reminding them that the $716 billion cut will only effect Hospital reimbursement rates for hospitals and private health insurance companies by cutting the huge profit hospitals and insurance companies are making off of Medicare and that no benefit or service is cut from their plan. Biden also mentioned that seniors to check with one of the largest non-profit senior's healthcare advocate, AARP, and what members of the AARP have to say on the matter in addition to looking at their existing plan and how ObamaCare has reduced their out of pocket expenses. On taxes, Joe Biden kept on fact checking Paul Ryan on the spot nailing him for how Romney's plan does not make mathematical sense cutting taxes across the board 20% for a total of $5 trillion and try to pay for it by cutting deductions. When Paul Ryan was asked to provide explanation for what deductions they would cut to make up this made for the rich $5 trillion in tax cuts to only give a phony explanation of -- oh well, we will have to work with congress to reach to that principle was all he has to say. However, Biden was right there explaining and hammering their true plan and how cutting deductions on the middle class would force tax increases on 95 percent of the population, while those making more than $200,000 would see a net tax cut. On foreign policy, specifically on Iran, Paul Ryan implied that the Obama Administration opposed imposing sanctions on Iran accusing Biden and Obama of ignoring Netanyahu in the process giving Iran the time to building a nuclear weapon while even the Israelis with so much stake have acknowledged and praised what President Obama is doing is more than anyone in the past regarding their security. Low and behold, Joe Biden was on point dismissing Ryan's assertion as "a bunch of stuff". He went on explaining to Ryan about the sanction and its effectiveness like a parent teaches their children on how to add one plus one pointing a laundry list of the effects of the sanction like how Iran's currency is in the downfall and how their economy is suffering, and to claim that the Iran policy is “unraveling before our eyes” as Ryan suggested was being dishonest and just a "bunch of stuff". Biden called him out on it saying, "these are the most crippling sanctions in the history of sanctions, period". The funny part of all this is when asked if a military attack on Iran would be effective, Ryan didn't answer while it's clear that attack on Iran would give Iran reason to justify to its people why they need a nuclear program. When asked what Romney/Ryan would do differently, Ryan pretty much said, we would do what the Obama administration has been doing. Go figure! On Afghanistan, since the beginning of the campaign, the Romney/Ryan campaign has criticized the administration’s foreign policy including Afghanistan policy that will withdraw troops by 2014 while offering no specifics alternatives and at the debate there was nothing new from Paul Ryan except criticize the administration's policy while saying "we don’t want to stay" in Afghanistan only to endorse the President's Afghanistan timeline to withdraw by 2014. On Syria, the non-stop criticism and hypocrisy to politicize every foreign event was very obvious not to mention the preemptive criticism on Libya that was disgraceful and an embarrassment to Mitt Romney. Doubling down during the debate, Paul Ryan said, “What we are witnessing, as we turn on our television screens [FOX News Network -- can't help laughing] these days, is the absolute unraveling of the Obama foreign policy.” When asked what the Romney/Ryan ticket will do different about Syria, Ryan actually said, “we agree with the same red line [as the Obama Administration does] on chemical weapons, but not putting American troops in, other than to secure those chemical weapons. They’re right about that". So, what is that Ryan witnessing or what is unraveling that is so bad that the Romney/Ryan camp does not have any new ideas about how they will do things differently than the President if they agree with all of what the Obama Administration is doing? The hypocrisy was very obvious when Biden continue to press Ryan for new policy or ideas the Romney team has to ensure that President Obama will not blow it when it comes to U.S. national security. Of course, no new ideas from Romney/Ryan camp. On Abortions, while Biden made it clear that his religious beliefs about when life began should not be something that has to be forced onto others who did not share the same religious beliefs he has, Paul Ryan made it clear that because of his religious beliefs his ticket will work to prevent women from having the right to choose to have an abortion if a woman wanted one. Paul Ryan also continued lying about abortion funding accusing Democrats of supporting abortion "without restriction and with taxpayer funding" which has not been the case for three decade since 1977 as per the Hyde Amendment that restricts federal funding for abortion. What Joe Biden did here was that he believe in separation of Churches and State is something fundamental that we can't impose religious views on other. A message that is accepted widely as a winner. On the Stimulus, Paul Ryan was shameless calling it a failed policy as if he was not advocating for it during the Bush administration in 2002 arguing that spending creates jobs. Not only was the Stimulus a key to reviving the economy that was in the tank but according to the Congressional Budget Office (CBO), it has helped create as many as 3.3 million jobs to the economy. However, Joe Biden was right there slapping Ryan like a school boy with his hand on a cookie jar exposing the truth about the letters Ryan had sent to the Vice President's office requesting for stimulus funds for his district. If it was such a failure, then why ask? On the Auto Bailout, Joe Biden was proud and passionate about the accomplishment of the Administration on the revival of the Auto industry that saved over a million jobs and growing today while slamming Romney's “Let Detroit Go Bankrupt” op-ed, to only hear from Paul Ryan the usual dishonest misinformation of denial claiming "Mitt Romney's a car guy" and "they keep misquoting him" as if the America people are blind to see the evidence where Romney had doubled down confirming his position that he would let Detroit go Bankrupt. 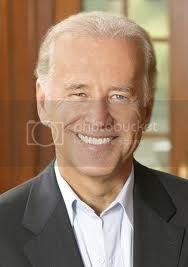 Overall, it was a night that Joe Biden should be happy about and where Democrats should be proud of. One thing for sure is that according to an instant poll taken by CBS News, uncommitted voters saw Vice President Joe Biden as the winner over Paul Ryan in the Vice Presidential debate. More voters by 85 to 75 percent margin thought Biden was knowledgeable about the issues and by a 56 to 48 percent margin thought Biden would be an effective President. Joe Biden was indeed smirking, snorting and laughing at Paul Ryan because that stuff coming out of Ryan was indeed a joke and we should all laugh at a bunch of "malarkey" that can not be taken seriously.